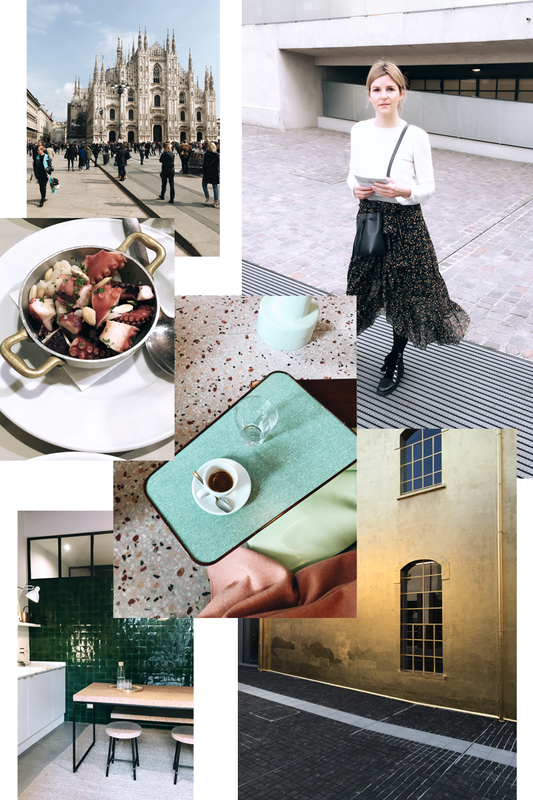 Here’s my travel Guide for a perfect weekend in Milano with the best restaurants, museums, must-sees, shopping addresses and places to sleep! 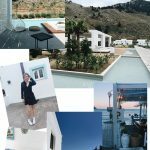 If you love the feeling of living like a local, I highly recommend a stay at one of Costanza Cecchini’s lovely boutique homes! 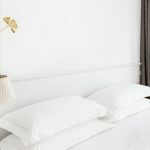 Costanza is the most charming host you can imagine and her three apartments – the Greenhouse Loft, the Wooden Atelier and the Pastel Home – are all situated in the Porta Venezia district, which is a 10-minute walk from the Duomo Cathedral, the Modern Art Gallery and the Natural History Museum. 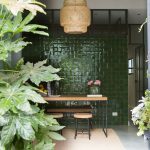 We stayed at the Greenhouse Loft, which was designed by London designer Ilse Crawford and her architect husband Oscar Pena. 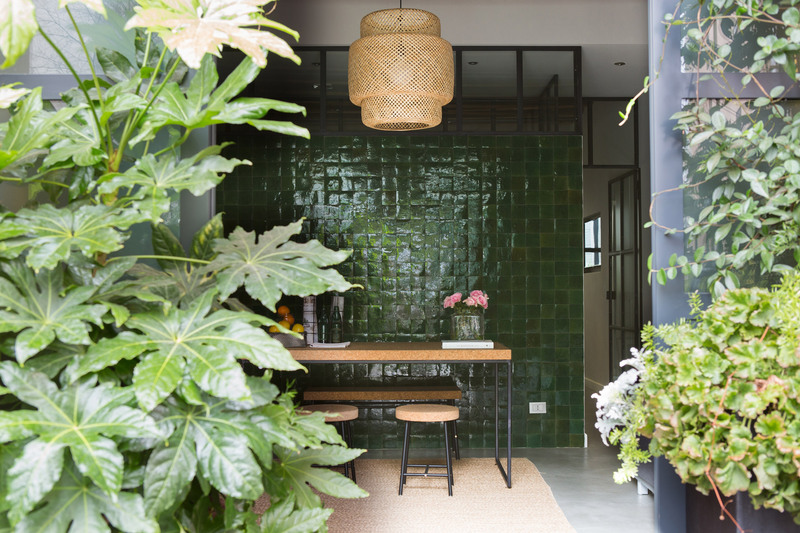 The one-bedroom apartment was once a garage but is now a cosy, contemporary home. 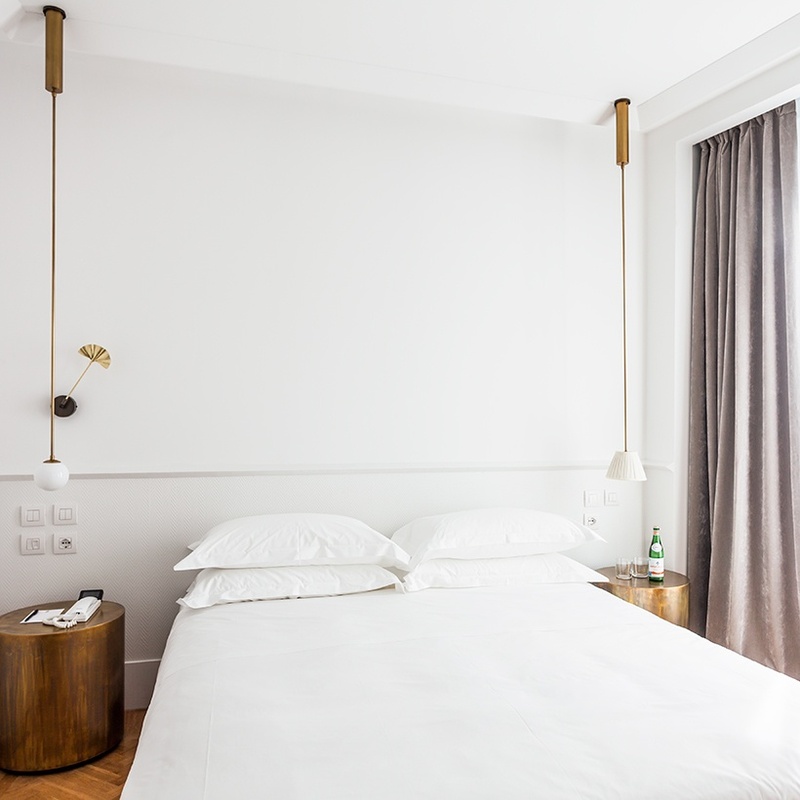 Charming boutique hotel with uniquely Milanese hospitality in 43 rooms. The welcoming interior is an assembly of marble, brass and wood designed by architect Alessandro Bianchi. Perfect place for an Italian breakfast! 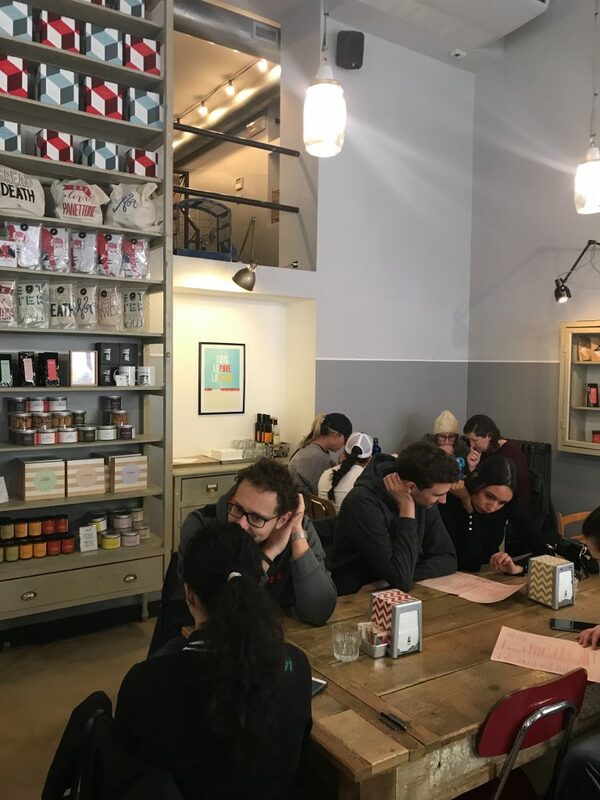 Just few steps from Porta Romana Corso, this new space offers a wide range of leavened and fresh bakery products, sandwiches and quiches. And of course: Espresso. What else. 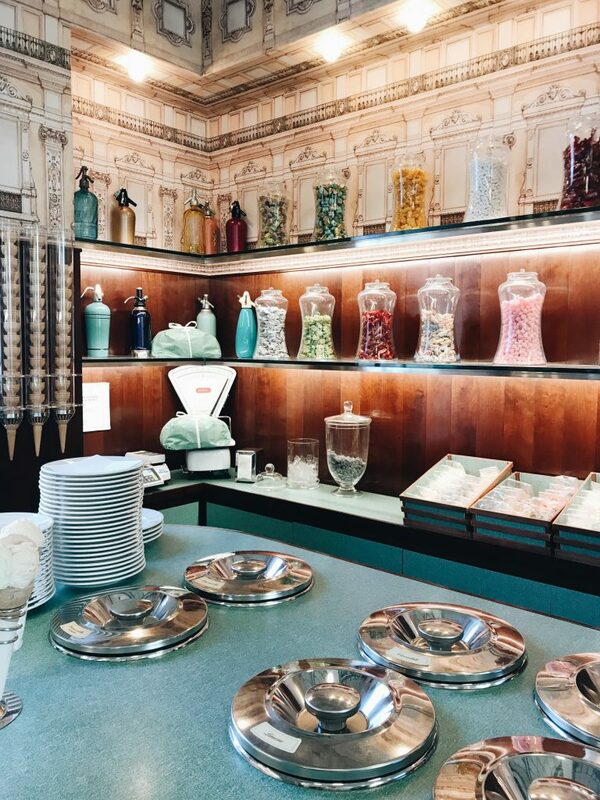 Steeped in tradition, Pasticceria Marchesi is one of Milan’s oldest and finest pastry shops. It is considered a benchmark for the quality of its fresh patisserie, its signature chocolates and its classic Milanese Panettone. If you can’t make it to Milan – you can order their products (love that packaging) here! This place is Real. Italian. Pizza. Love! An institution! 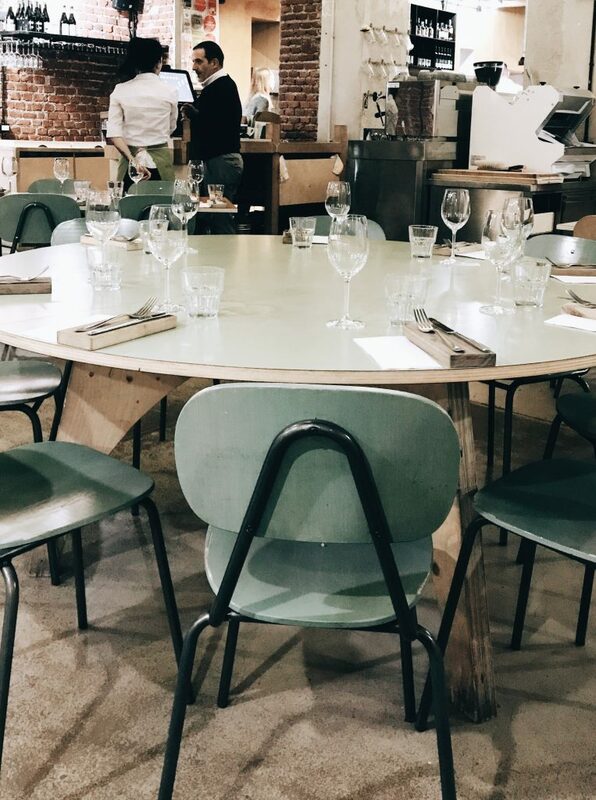 Bar Basso was the first-ever bar in Milan to introduce the “aperitif” to everyday people. And it’s primarily known for its signature cocktail: the Negroni Sbagliato, which is made with Prosecco (instead of Gin). Major must-visit! 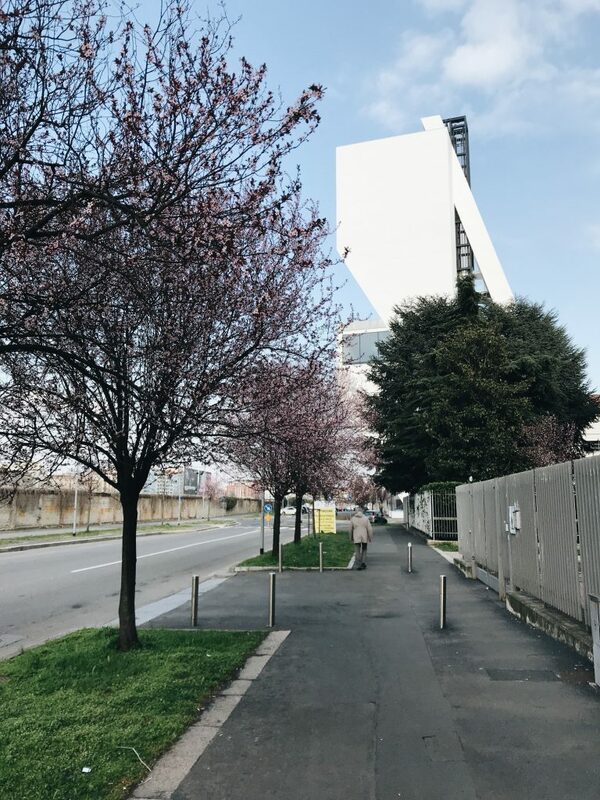 Exhibited across 17 striking buildings designed by Rem Koolhaas are hundreds of modern and contemporary artworks from Miuccia Prada and her husband Patrizio Bertelli’s private collection, including Damien Hirst, Louise Bourgeois and Robert Gober. 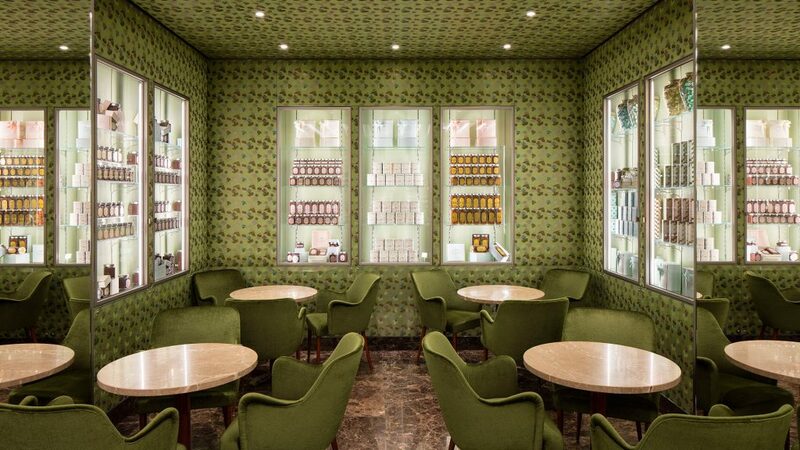 After your visit you shouldn’t miss enjoying an espresso at Bar Luce, the pastel-coloured café designed by Wes Anderson! 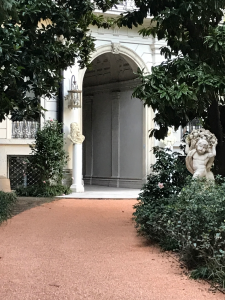 This place is one of the most prestigious addresses in Milan, where Leonardo Da Vinci lived while he was painting The Last Supper. Now the palazzo is open to public and remnants of the beautiful vineyard were recently uncovered. Built by Piero Portaluppi in the 30s the burgeois Villa Necchi Campiglio exhibits its original interiors with the story of the prestigious Lombard family Necchi-Campiglio. A must-see for architecture and interior lovers of the Italian architecture of the inter-war periods. The villa also played host to Luca Guadagnino’s movie “I Am Love”. 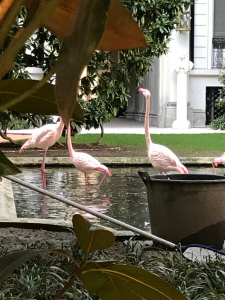 I discovered this magical place by accident – in a beautiful garden behind the fences of Villa Invernizzi lives a group of pink flamingos like taken from a fairy tale. The building is private, but you can catch a glimpse from outside. Interior lovers beware! This place is more than a gallery, it’s a home, a journey, an experience, a dialogue between past and present. Each room unveils a different emotion (joy, surprise, nostalgia) leading the visitor towards the discovery of elusive colors and precious materials. Close to the Duomo Cathedral, this impressive contemporary luxury department store stocks the top fashion brands on seven floors. It also has a great food market and an exceptional beauty department. 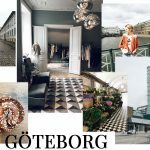 A small multibrand fashion store with international labels like Acne Studios and Marques Almeida. You’ll also find some young Italian designers, selected magazines and accessories. 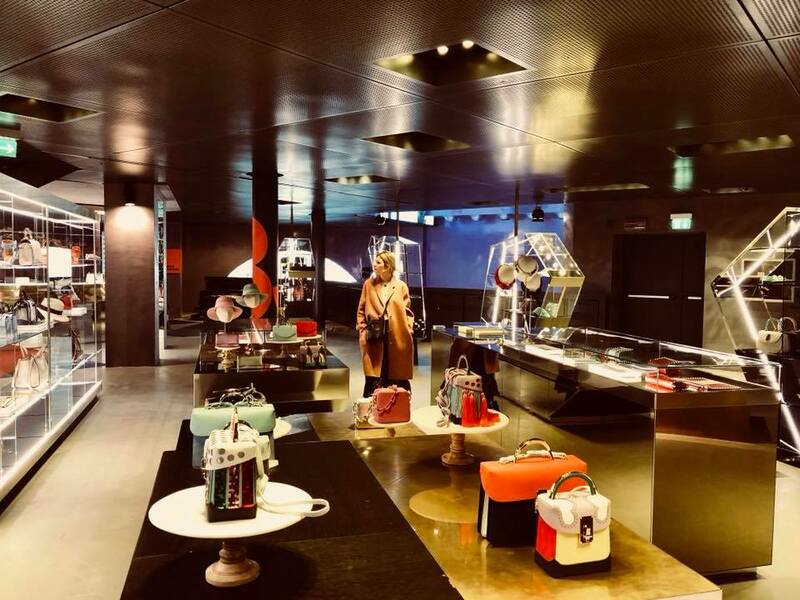 Located in the Brera district, Milaura is a lovely concept store with an international and innovative soul, selling the Milaura label and more than 100 other brands like Mesdemoiselles, Lemaire, Soeur, Vanessa Seward, Atlantique Ascoli and Rejina Pyo. If you love eye-popping, vintage prints and silk blouses, you gotta love La Double J, a multi-tasking Milanese brand offering new fashion made with archival prints, cool home design and rare vintage. Being a Fornasetti-fan ever since, this place is heaven. 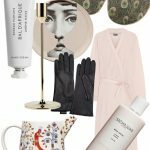 There Fornasetti design is everywhere you look – from wallpapers, butterfly covered tables to trompe l’oeil umbrella stands. And the plates are a great souvenir. Small Streetwear store close to Porta Ticinese selling brands like Maison Kitsunè, Norse Project, YMC, Wood Wood, Libertine Libertine and Base Range. Danke für den tollen Guide, genau rechtzeitig, mein Freund u ich fliegen im Juni nach Mailand.